Hi, I am interested in your 1991 GMC Syclone (stock #CTP2324) listed on Autotrader for $37,900. I'd like to get more information about this vehicle and confirm its availability. 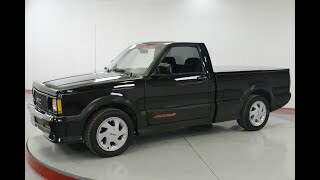 The GMC Syclone is a high-performance version of the GMC Sonoma pickup truck. Produced in 1991 by GMC, the Syclone spawned the similarly powered 1992-1993 GMC Typhoon SUV. Another vehicle, the GMC Sonoma GT, offered less performance but was seen as a companion model.